Hannah Hensley started writing professionally in 2010. Her field of interest is health and wellness, fitness, and nutrition. She graduated from the University of Georgia with a Bachelor of Science Education in exercise and sports science and is a certified Nutrition Coach through the International Board of Nutrition and Fitness. 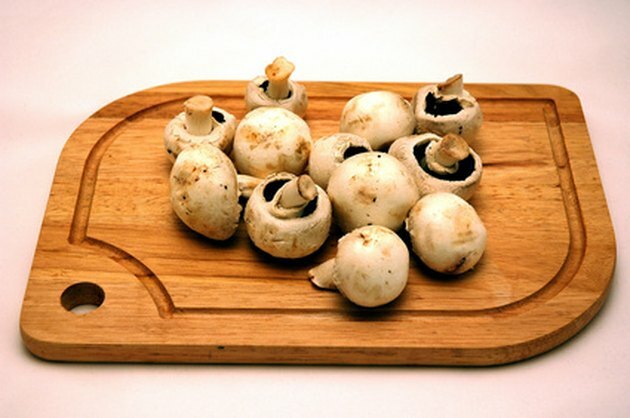 The Chinese have used the shitake mushroom for medicinal purposes for over 6,000 years; consequently, it has become the Asian symbol for longevity, according to The George Mateljan Foundation's website The World's Healthiest Foods. 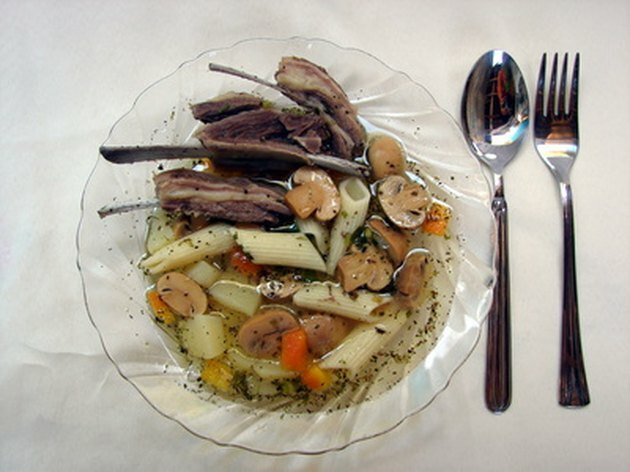 This particular type of edible fungus is the second most commonly cultivated mushroom in the world. With its rich sources of selenium, iron, dietary fiber, protein and vitamin C, research has shown significant benefits in adding shiitake mushrooms to your diet. A compound found in Shiitake mushrooms, eritadenine, has been shown to reduce blood cholesterol levels, according to the website Elements4Health. The website reports on a 2001 study in Japan at the Department of Bioresource Science at Obihiro University of Agriculture and Veterinary Medicine that was published in "Experimental Biology and Medicine." The study found that the eritadenine in shiitake mushrooms helped to increase the cholesterol levels in the feces, which in turn reduced blood cholesterol levels. The American Cancer Society notes that shitake mushrooms do seem to have some anti-tumor effect on lab animals but adds that further studies are needed to determine their use in humans. The organization notes that these effects may come from the mushroom's ability to boost the immune system. They contain a compound called lentinan, which has been shown to strengthen the immune system's ability to fight infection and disease. The American Cancer Society says that lentinan can actually reduce and slow the growth of cancer cells while increasing activity to combat tumors by activating certain cells and proteins that attack cancer. Antioxidants help the body fight off free radicals, which can mutate cells and ultimately lead to cancer. 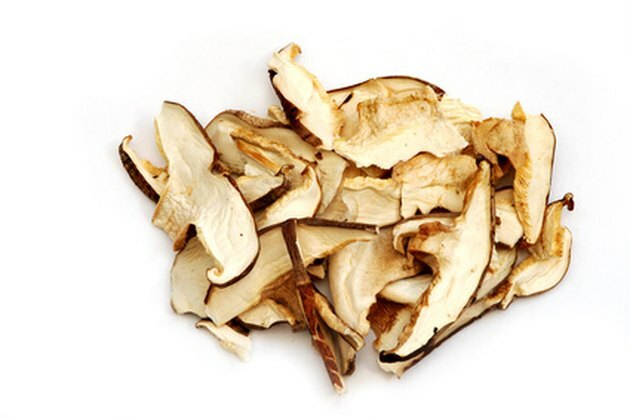 Shiitake mushrooms have been found to contain a potent antioxidant, L-ergothioneine. In research presented at the 2005 American Chemical Society meeting in Washington, D.C., an American research team revealed that mushrooms "contain higher concentrations of L-ergothioneine than either of the two dietary sources previously believed to contain the most: chicken liver and wheat germ," according to The World's Healthiest Foods. 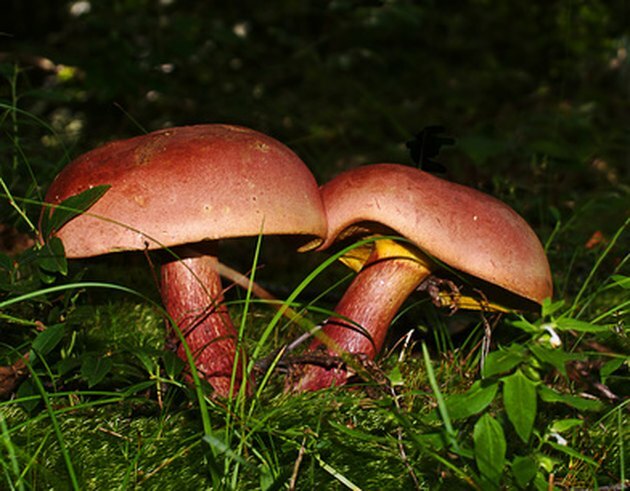 The team further found that when comparing mushrooms consumed in the United States, the shiitake mushroom outweighed other types with the highest L-ergothioneine content.